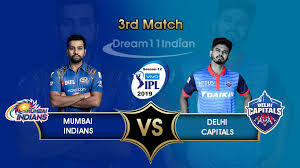 MI vs DC the 3rd match of IPL 2019 is in progress in Wankhede Stadium, Mumbai on 23 March from 8:00pm. 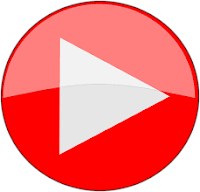 Get MI vs DC IPL 2019 live score and 3rd match highlight. Adding Shikhar Dhawan in DC may be a plus point. Rishabh Panth got 50 in 18 bowls. Hi friends, I'm Gyan Ranjan. In this post, You'll get live streaming, MI vs DC IPL 2019 live score, full highlights, and interesting of this 3rd match of IPL 2019. Two matches of IPL 2019 have played before this match. CSK has had won the CSK vs RCB the opening match of season 12. that was a low scoring match. But KKR defeated SRH in the 2nd match which was a high scoring match. MI is a strong team while DC is also looking good after adding Shikhar Dhawan. You can know about teams strength in All team squad. Rishabh Panth played a blasting inning of 78 runs. He faced only 27 bowls and smashed the 7-7 boundaries and sixes. Colin Ingram 47 and Shikhar Dhawan scored 43 runs. DC scored 213/6 in 20 overs. It is the highest score of IPL 2019 till now. Mitchell McClenaghan got 3 wickets while Jaspreet Bumrah, Hardik Pandya, and Ben Cutting got the 1-1 wicket. But the couldn't stop DC from building a big total. DC scored 213/6 in this MI vs DC IPL 2019.